Our range of products include bilberry extract, noni capsules, acaiberry extract, hawthorn berry extract, hops strobile extract and graviola leaf extract 4:1. 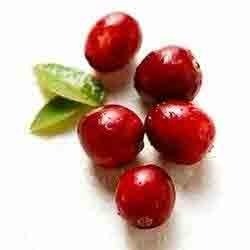 Bilberry herbal Extract is used to treat eye problems like cataracts and retina disorder. It is also used to improve eyesight, night vision and blood and heart vessels in human body. 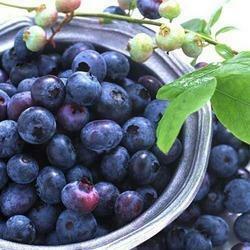 Bilberry has antioxidants that help in strengthening capillary walls and improving blood cells. It can also be used for reducing chest pain, flow of blood in veins and throat soreness. This extract is also used to treat the varicose veins, urinary tract infections and skin infections. This Extract is also helpful for treatment of chronic fatigue syndrome, kidney disease and diabetes. It is also used to treat gastrointestinal disorders, hemorrhoids, osteoarthritis and mouth soreness. Noni is a 9 meter long evergreen tree which belongs from Rubiaceae species. It grows in the Pacific Islands, Southeast Asia and Australia. Noni has deeply veined , dark green, large and shiny leaves. The fruit, flowers, stem, bark, roots and seeds of Noni are used for making medicines that are applied for skin treatment. The fruit of NONI is in Oval shape and grow from 10 to 18 cm and it smells strong and bitter in taste. Noni is also known by other names including Ba Ji Tian, Morinda Citrifolia, Mulberry, Noni Juice, Pau-Azeitona, Wu-Ning, Yor, Tahitian Noni Juice, Ruibarbo Caribe, Ura , Nono, Wild Pine, Jus De Noni, Luoling, Mure Indienne, Hog Apple, Hawaiian Noni, Bois Douleur, Rotten Cheese, Mure Indienne, Nhau And Canarywood. 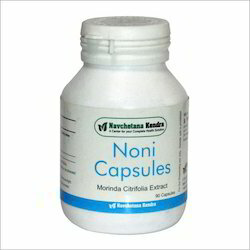 Noni extracts are found in the form of capsule. Morinda Citrifolia is used to treat convulsions, urinary pain, vaginal, high blood pressure and gastric ulcer. 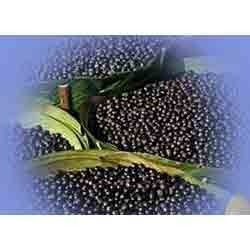 It is also used for treating disease of Asthma, constipation, cancer, cold, swelling and cold depression. This extract helps in improving menstrual flow. It is also used to treat hemorrhage, inflammation, burns, bacterial infections, fever, malaria, diabetes, arthritis, cough, colic, nausea and liver disease. Morinda Citrifolia is used for the treatment of joint pain, headache, smallpox, digestive problems, kidney disorders, stroke and migraine. It is also used to treat cataracts, altherosclerosis, drugs addiction, sprains, AIDS, senility and circulations. 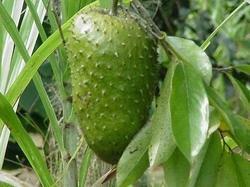 Marinda Citrifolia helps in reducing the aging and used as a Moisturizer. 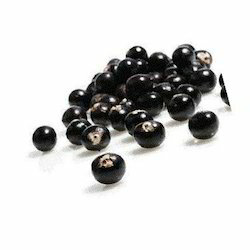 To meet the diversified requirements of our prestigious clients, we are engaged in manufacturing and supplying Acaiberry Extract which has high medicinal properties, the offered extract is processed from the natural process using advance techniques. This extract is helps in better digestion, increased energy, weight loss, improved sleep, detoxification, healthier skin & stronger immune system. This extract is given in various packaging options to our customers. 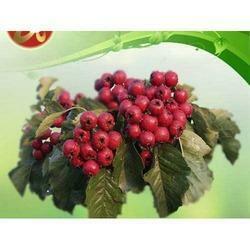 We are engaged in offering high quality Hawthorn Berry Extract which is used for the treatment of congestive heart failure, valve prolapse, arteriosclerosis, myocarditis & cardiac arrhythmia, the offered extract is processed with utmost care at out working place. This extract is totally safe to consume & checked by our experts for assuring its purity before dispatching. Hops flowers have a calming effect on the body and has been used to relieve insomnia and anxiety when nervous tension has taken its toll. Hops has been used for many many years by chinese doctors for digestive problems, various types of intestinal or bowel problems. The many conditions it treats include nervous or irritable coughs, irritable bowel syndrome, excitability, sleep disorders, restlessness, hyperactivity, hysteria, fits, delerium tremens, toothache, earaches, painful or absent menstruation, and externally used to treat crural ulcers. You can protect yourself from cancer with hops liquid extract. Hop's chemicals have anti-infective activity and anti-cancer properties. Hops can help prevent different cancer types from starting, growing or spreading. A chemical from hops has also causes leukemia cells to disentegrate. As a tonic for the liver, hops are thought to increase the flow of bile, and the herb was used historically for liver afflictions, such as jaundice. Hops are used as a diuretic and believed to relieve water retention and excess uric acid. Also known as soursop,the graviola leaf extracts are gaining popularity in West for its medicinal properties and positive health effects. It has been used traditionally to treat Rickets. Also the bark, leaves and roots are used in treating diabetes.There are number of benefits offered by Graviola leaf extracts. The supplements and liquids can be consumed to help relieve various health conditions. We are providing natural medicines like Maca Root Powder (Peru) to our esteemed client which are used in healing in various health problems.Known widely as Peruvian ginseng, the product grows highly in the Andean region of Peru. The signs of infertility in male or female both. The product provides energy to the body to fight various diseases and deal with stress. 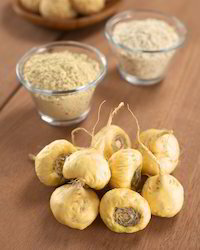 The ancient people used Maca root extracts for treating a host of ailments. It acts as a tonic for treating hormonal problems and boosting sexual health. The root of the plant has multiplicities of benefits in improving health. Scientific Name: Morinda citrifolia L.
The noni plant contains well over 100 plant-based chemicals, or phytochemicals. Some of them function specifically as antioxidants, while other substances may inhibit the growth of cancer cells. However, research to date does not yet support noni's ability to treat any specific health problem. The noni fruit also contains vitamin C and potassium, but this doesn’t mean that the noni juice you buy is potent. It may not contain a sufficient amount of phytochemicals or nutrients to provide significant benefits.